What Keychain EDC Gear Would You Recommend? Diving into a reader question straight away this time! 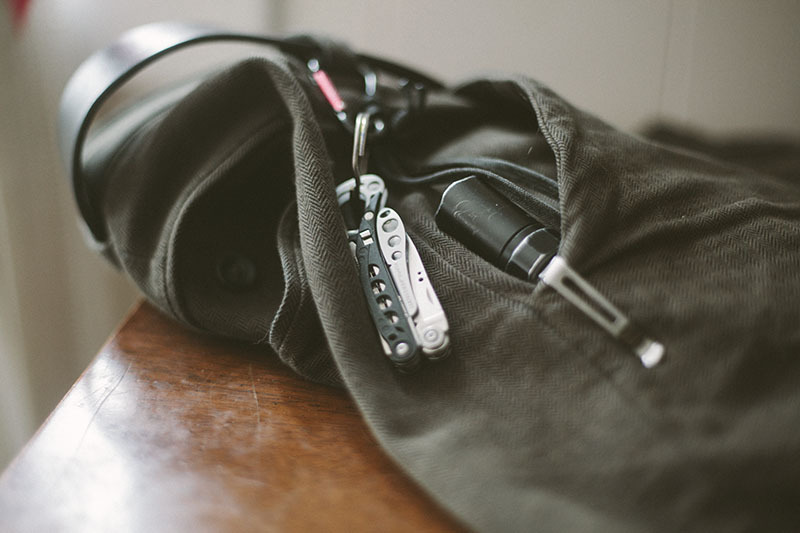 Let me begin by offering my praise for operating such a great website, and thanking you for taking the time to provide your knowledge and information to those who find interest in knife and other gear reviews, theories and thoughts behind disaster preparedness, and my personal favorite… The EDC pocket / purse dump. I’d love to see more content in the realm of EDC. I find your reviews to be honest and informative (and a bit less long-winded than Nutnfancy’s reviews). Anyway, back to the point of this email… As I’ve gotten older, I’ve realized I spend more and more time ensuring what I carry in my pockets for the day can support me and provide use if the need arises. While I was reading through your review on the Gerber Shard, I came to the conclusion that I’m squandering usable space on my keychain. So my question to you is: What keychain items would you recommend to achieve some additional (well-rounded) utility? Also, in the Shard review you mentioned the existence of a group of people dedicated to these keychain items, or what you refer to as “widgets”. Where online would I go to learn more about these items? Are there any forums or websites you’d recommend off the top of your head? As far as your EDC, I was also curious what your logic / reasoning is when choosing each item you’re going to carry? Or is it all random? First of all, thanks for the compliments on the blog and I am glad you find our content valuable. We will certainly be doing more everyday carry related posts in the future, though of course if you have any more questions in particular you’d like to see us address, you know how to contact us. 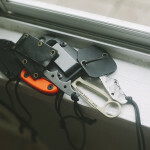 To begin answering your question, it bares repeating that the most important thing to remember when assembling your EDC is to recognize that you should be choosing what’s best for yourself, not what’s popular on the internet or what others would rave about if you had in your set up. Basically the only question you should be concerned with is: what would you use in your day to day life? Personally, I primarily use cutting tools, a flashlight, and small screwdrivers. With that in mind, I start by focusing on fulfilling these 3 uses. From my options, I first eliminate tools that don’t fulfill these needs well. I’m not going to be carrying around a credit card knife when what I really need is a full blown EDC folder. 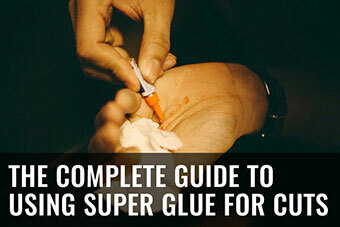 Sure the credit card knife is lighter, smaller, and more compact, but it’s much less useful. 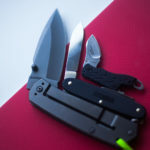 All this to say, pretty much at all times, since I need a cutting tool, a flashlight, and a screwdriver tool, I’ll be carrying a proper EDC knife, a high-quality flashlight, and a practical small screwdriver multi-tool. I’ll have these three items on me at all times, before I even worry about any other gear. They’re my base. 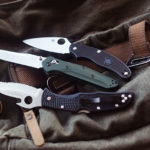 Of course I’ll factor in size, weight, and carrying comfort when choosing these three core items, I’m not going to be carrying around a toolbox all day, but they all have to be able to perform at a high level. I won’t sacrifice performance here. 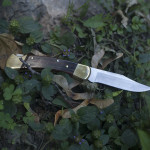 I alternate my knife regularly because I have so many that work perfectly – might as well. 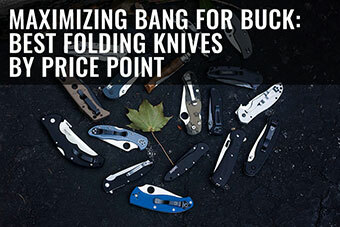 If you’d like to see which EDC knives I’d recommend check out this article on the best EDC knives on the market, and this one on the best bang-for-buck folders. Now back to my EDC – my screwdriver multi-tool I change less often (depending on if I find a better one to replace the one I use with), and my flashlight near never, because I love my flashlight and don’t think I’ll be finding one I like better any time soon. From there, I fill in extras depending on if I feel like carrying more or less. I’ll test things out for a few days or a month, get a new toy, switch something out, whatever I feel like. As long as I have my core needs fulfilled, the rest is mostly just useful, but not necessary, EDC items. 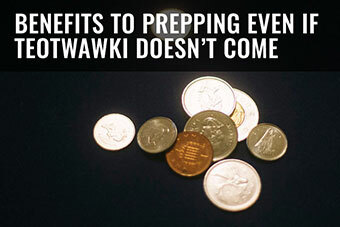 Whatever you end up choosing will have to live in your pocket, so in order to determine what else I can carry, I first figure how many pockets I want to fill and plan accordingly. I don’t mind carrying a lot in my pockets, and as a result, I actually do carry gear regularly in all four pockets. My phone and nothing else due to risk of screen getting scratched. Flashlight, keys, and whatever else I have space for on my keyring. 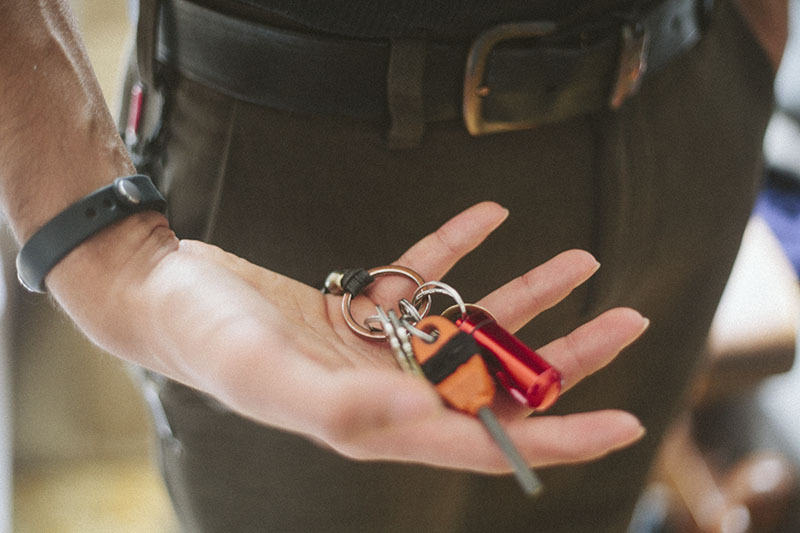 Comfort becomes an issue with keychains so shape and size of every potential item becomes a priority. What’s on my keyring changes a lot over the months. 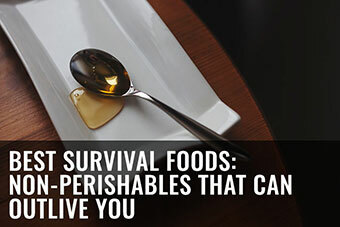 I normally always have a firesteel and a waterproof capsule that contains tinder on my keychain, but if you’re less wilderness survival oriented, you will probably opt out of carrying those. I’ve somewhat recently begun carrying the Leatherman Style CS Multi-Tool everywhere on my keychain. Had the Gerber Shard + Nite Ize SkullKey for some time, but they’re less useful for me than the Style (which has amazing scissors and a surprisingly functional blade – review coming soon), so I switched them out. It’s a process, but thankfully these items are often very cheap, meaning it’s not too financially consuming to test and swap in and out based on what you like or changing needs. As you can see, I really only have my front right pocket to negotiate potential EDC gear. My advice would be to not overdo it with too much gear. Always think practically in terms of comfort and spend your money on something you will carry as opposed to something you think you may possibly carry. 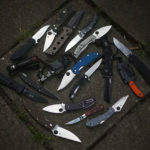 Its better to have a consistent EDC that you can depend on rather than one that looks good in photo dumps, but that is practically useless, or even is so bulky it gets left behind when you need it the most. 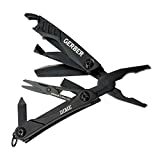 Personally, I have been sold to the concept of the tiny folding pliers/scissors like the Leatherman Style CS or the Gerber Dime. 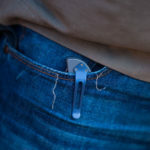 I like that I can have them dangling from my belt loop on the right dominant side, which means they never interfere with my comfort, and yet are always accessible. Your mileage may vary, but as I said, always base it on your lifestyle and comfort levels rather than what looks nice and you’ll be set to go. 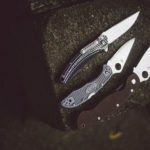 I have a top 5 of recommended EDC gear items listed here, but in particular with regards to widgets, other than the Leatherman Style, the Gerber Dime, the Nite Ize SkullKey, and the Gerber Shard, that I’ve already mentioned, I’d also recommend taking a look at the Victorinox Classic SD (which comes available in a lot of different colours), the Stanley Pocket Screwdriver, the Swiss+Tech 6-in-1 Pocket Driver Tool, and the Leatherman Squirt (slightly larger than the CS Style, but with pliers). I’ve taken a look at a lot of other mini multi-tools and they really don’t look very practical to me. A lot of them are gimmicky and don’t really do what advertising suggests they do. 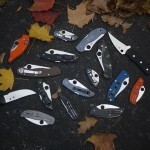 If you’re looking for a place to learn about practical EDCs, for a decent forum go to EDCforums.com. The crowd there can be a bit fanboy-ish and a lot of the gear shown is more about aesthetics than practicality (like with Atwood Tools, which I mentioned in the Shard review you referenced has an almost cult-like following that I will never understand). All in all, though, EDCforums.com is a decent resource with friendly, knowledgeable members, and tonnes of talk about widgets, since that’s what you’re looking for. 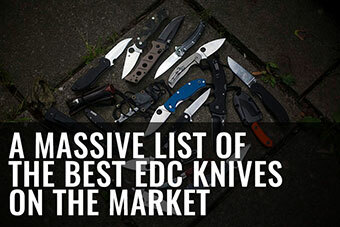 If you’re in the market for other websites that are great resources on EDC gear, Everyday Commentary is an excellent one. I’ll second Bo Starr on the Knipex grips. Nothing from any manufacturer comes close, Vise Grips want to be Knipex when they grow up! Definitely the most used tool I own, and possibly the least appreciated outside of their owners. Thanks for the recommendation- never used ’em but I will keep an eye out for them. Well, i guess, as i am a female, mine would be the purse dump. It’s actually more of a medicine bag than a purse though. 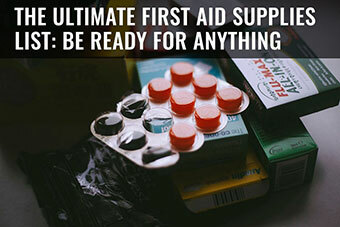 I have all the otc drugs that would be needed for any situation that arises. There’s my wallet that has all my necessary cards and paperwork. I also keep a notebook and pen, pictures of my family, hand sanitizer, glasses cloth and a small pump bottle of febreze (because you never know when someone will try and stink you out. I have my new 5n1 edc knife and attached by a lanyard to the purse strap i have my led flashlight that will blind you real quick. Oops, forgot about my Keychain. I have my house and car keys as well as a pair of folding scissors. Elise has a similar set up, antiseptic wipes, knife and her pen & paper. Seeing as most women carry a purse, I think the EDC options are enormous. I have to be very careful with how heavily I pack my pockets but Elise has a lil’ maxpedition pouch with basics always in her purse. Gotta say, I am slightly jealous. I work in a rather rural part of North Alabama, I drive to work in the dark, and come home in the early afternoon. When I’m working, I wear work pants that have tool pockets on both thighs. I carry an Altoid tin full of goodies in my front right pocket, (including an old, trustworthy Spydercard), along with a Benchmade auto-opener as a companion, as well as a pen. I carry my tobacco and a Swedish fire steel in my left front pocket. A very important EDC item to me is a small pair of Knipex slip-joint pliers (channel-locks)…they are in CONSTANT use; almost as much as my knife! Y’all really should research these things, as I feel almost as naked without them as I would without a knife. Not as naked, but almost! In my car rests a Glock 17 (with extra magazines) and a Fallkniven A1. My backpack is just INSANE, as are the assorted tools, etc. in my car. I’m not really paranoid, but I like to have things ready to hand, just in case something weird happens. I LOVE discussing gear preferences, in case anyone is interested. Never heard of anyone EDC’ing Pliers- these “Knipex” look damn good but taking into account the size & weight, do you feel a Leatherman would be “almost” as good with more versatility? Have you taken a look at the Kershaw Select Fire? 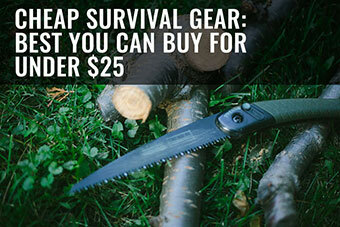 Sounds like it fits your EDC needs pretty well. I swapped out the flathead bits for T6 and T8 bits for knives. I have actually! These days I always have the mini stanley screwdriver pen in my EDC bag which replaces my need to carry more complex multitools. I have also begun to EDC a teensy Swiss Army knife on my keychain, use it quite a bit for that micro flat head screwdriver! I reckon I will keep experimenting with what I like until the day I die, love gear too much! I would like to recommend pocket knife and live fire original for keychains because these two are useful tools in our regular activities. Except these there are many other tools which can be key chain gear, but I found these two best. Sometimes consider if we found ourselves in critical condition then there cannot be another option better than fire and knife either in urban areas or forests. 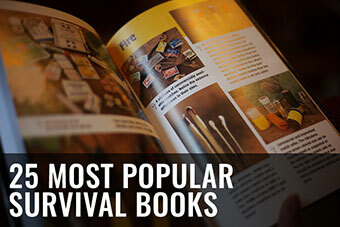 They both are also the top survival weapons. 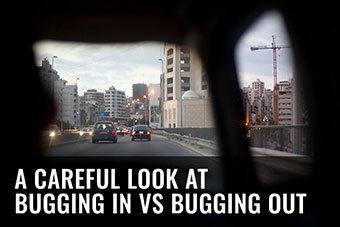 Great blog.. Keep up the great work..!! Maybe my new goal in life needs to be to get a job where I may need a multi-tool in my pocket every day. Unfortunately, as a desk jockey, pocket knife, keys, wallet, and phone get the job done every time. That was a great answer about EDC. 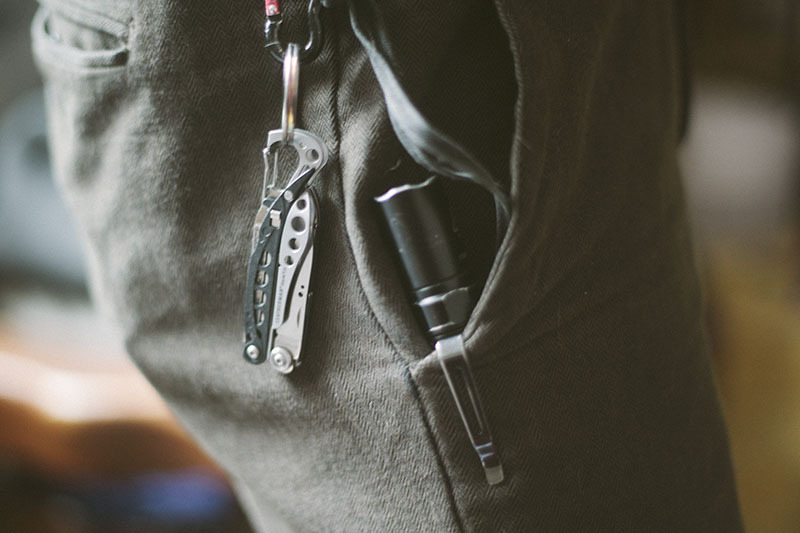 My philosophy is very similar but I do make room for a slightly bigger multi-tool (Leatherman Juice S2) in that weird little pocket on the right side. 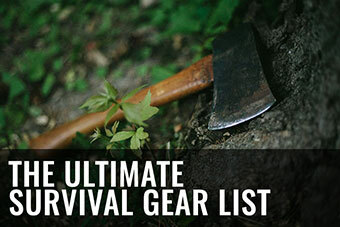 I am also not wedded to one flashlight as like knives I’m always looking for the perfect one! My advice is don’t go down the flashlight rabbit hole as once you get into the world of CR123A’s and 18650’s your head will spin! 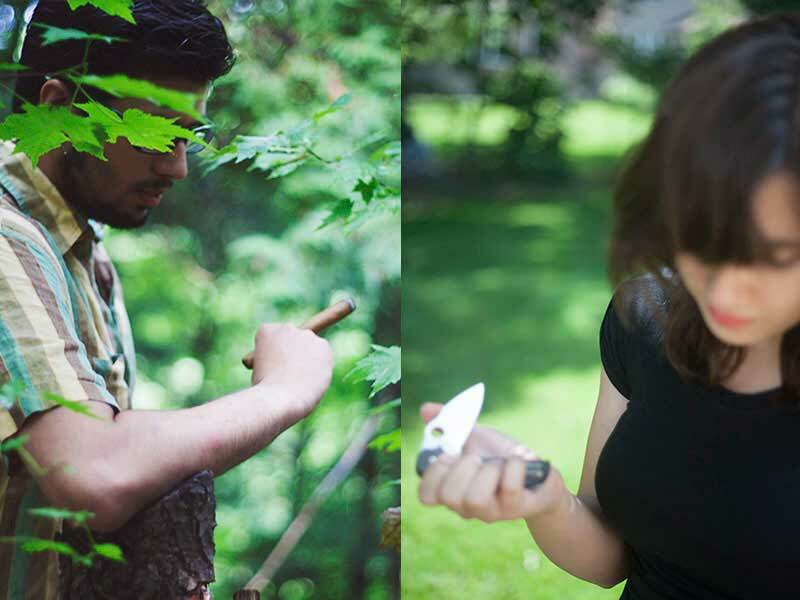 Thanks for the great blog, you guys have become one of my must reads! 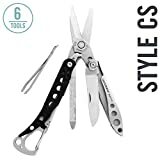 I recently picked up a Leatherman Wave which I will soon review, I can definetely see the appeal of a heavier duty multi tool but the weight does concern me- it does seem like the Juice fits nicely in between a lightweight multitool and the more heavy duty stuff so perhaps i’ll look into that! I did consider becoming a flashaholic but my biggest issue is that no matter how high end you go the LED and basic materials seem to be pretty much the same (Cree LED’s & milled aluminium). When I look at the prices I just don’t “get” where the money goes. BTW; Unfortunately I am one of those silent stalker types and even though I read all your new posts I don’t get around to commenting much, I subscribed the moment I “discovered” you!